Advanced NDT Solutions is an Irish owned full service non destructive testing inspection service company that provides a comprehensive welding qualification inspection services. 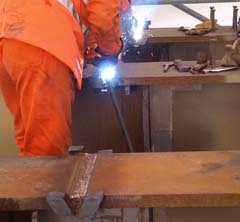 Our Qualified team of PCN and CSWIP welding inspectors provide the invigilation, development and documenting of weld procedures and welder qualification tests. Our welding inspection service adheres to the requirements of all international standards including EN and ASME. Our team of inspection engineers have been trained and approved to perform invigilation and inspection by international governing bodies in the area of welder qualifications and weld procedures. All of our staff are certified in Non-destructive testing by the British Institute of NDT (BINDT) or the American Society of Non-destructive Testing (ASNT). 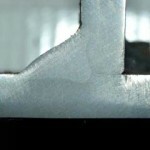 Advanced NDT Solutions have established a highly transparent quality system that allows our clients and 3rd party auditing groups review all aspects of Welder Qualification Certificates, Macro Reports and NDT Reports where required. We will provide web based access to all files related to testing performed for your organisation so you may review at any time and have complete traceability. We require photographs and ID for all candidates taking examinations and we issue internationally recognized certificates in accordance with EN 287 / ASME IX requirements. Our staff are very experienced invigilating examinations and perform these duties without adding additional pressure or anxiety on students.